Great News for more than 1000000 fans of DaVinci Mystery, the part II of the series, DaVinci 2: Renaissance is now out on the pages of iTunes. After the huge popularity of the first part of the brain teaser interactive puzzle game DaVinci Mystery, Planemo Studio has come up with the next part of the fun and rare riddle game. This new one poses even more challenge to the users, and keeps them intrigued in the interesting puzzles. 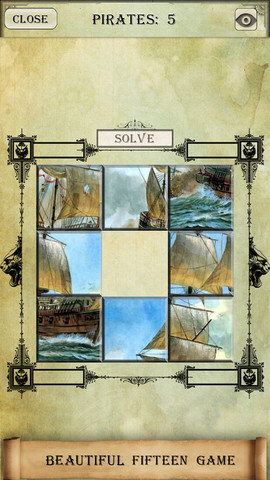 The game has been divided into several categories such as Art, logic, history, engineering, mathematics, and it also includes some unusual categories like pirates. Users with different types of interest can engage their time in their liked category and the whole gamut of collection is big enough to suit the users with multidisciplinary likings. 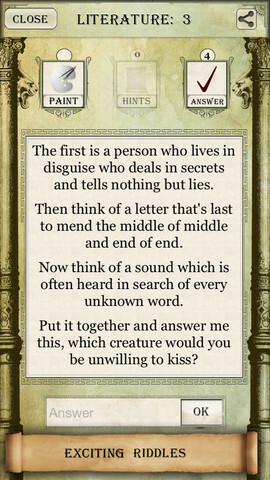 The app holds some interactive puzzles in its wallet as well. It makes a perfect solution to cover your free time with the enjoyable engagement that makes your brain work at the same time. It also has marble match puzzles and puzzles like Fifteen Game which is sure to be cherished by every player. The game holds all these brain teasers beautifully arranged within its high level graphical interface which is sure to impress. 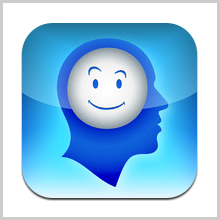 A huge collection of puzzles, brain teasers in the form of riddles. Accompanied with interactive puzzles and marble matches. Most outstanding graphical interface which is a mark of latest technical inventions. The game also comes with tips and suggestions if you get stuck at any of the puzzles you can have ready help. 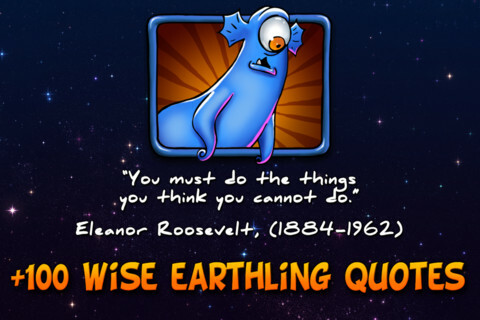 The game will also prompt you when you are close to the right solution and can be helpful to go on the right way. It has an integrated calculator that can be helpful for solving mathematical and engineering puzzles. The last 5 puzzles in every category are marked as the “bosses” of the category and a number of common tasks or puzzles in that category need to be solved to open these 5 puzzles. The “bosses” in every category comes with the highest level of complexity and provides special awards and achievements on successful solution. 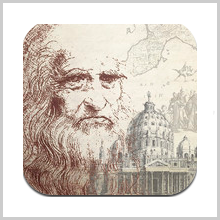 Users can get to know interesting facts about the life of DaVinci as he unfolds the puzzles one by one. The game comes in three languages, English, Chinese and Russian. It was published on 3rd June of 2013 and the present version running is 1.0.1. The game can be downloaded from iTunes for free. It takes 19.9 MB space on the memory chip. 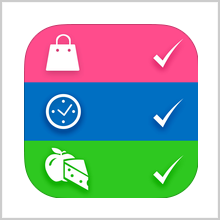 The current version is compatible with iPhone 3GS, iPhone 4, 4S and 5. It can run on iPod touch of 3rd, 4th and 5th generation and also on iPad. 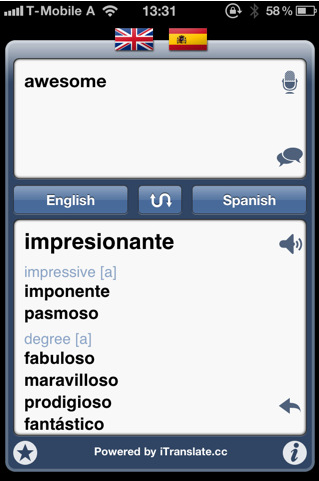 The app needs iOS 5.0 or later to run and is optimised for iPhone 5. Summary: DaVinci2: Renaissance, the second part of the mystery puzzle game DaVinci Mystery, is available for free on iTunes. 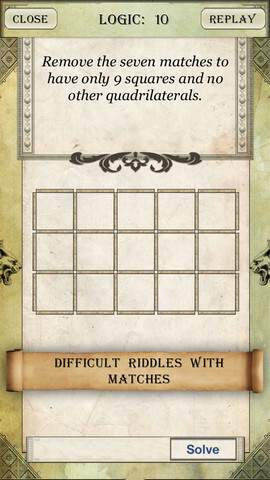 This second part comes with new and more interesting riddles and puzzles that place greater challenges to the users. Good: The game is available for free in iTunes and takes only a small space in the memory chips. Bad: Reports for the first part of the series were good enough, and no negative report about the second part has been received yet. Play it yesterday, I think the game is fully deserves its place in the top of app store.